When a judge can use the sacred desk of justice to bang their gavel in favor of racist behavior such as segregation, it’s about by time for that judge to hang up their robe. An Alabama judge installed in 2013 clearly recognized the request to segregate their school district by a small suburban Birmingham town named Gardendale as a racist move but yet banged her gavel in approval, never have we ever seen such a blatant disregard of equality. It’s safe to say this ruling of approval can and probably will set the precedence for more of this foolery. A judge told a mostly white suburb near one of the blackest cities in the country that—after reviewing all of the facts—she believed the town’s request to separate itself was motivated by race. She stressed that the move could encourage feelings of racial inferiority among the district’s black students. The judge chastised the white citizens for trying to minimize school desegregation laws. Then, with a pound of her gavel, she allowed them to do it anyway. 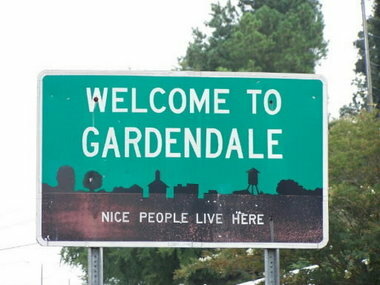 Just north of Birmingham, Ala., sits the tiny suburb of Gardendale. While Birmingham’s 74 percent black population ranks it as America’s fourth-blackest city, Gardendale’s population is 88 percent white. Gardendale’s median family income is more than double that of Birmingham, too, giving the small town a lucrative tax base. In recent years, most of Birmingham’s affluent suburbs have left the struggling Jefferson County Schools’ system to form smaller districts, but until now, a judge had never examined the racial reasons and implications as closely, according to a report by the Washington Post. U.S. District Judge Madeline Haikala heard the case of Jefferson County Board of Education v. Gardendale City Board of Education and issued an extensive, wide-ranging ruling Wednesday. The case was not overly complex and was mostly black vs. white. The white residents of Gardendale wanted to break away from the county’s schools, creating a new district that reflected the demographics of the city. The parents of black students in Gardendale’s schools said the white parents just wanted to get rid of the schools’ black students. In her 190-page ruling, Haikala admitted that Gardendale City’s motivations were based on race and inequality. She pointed to a Facebook group with thinly veiled racist messages and wrote about flyers that listed “some of the best” white schools that had already left Jefferson County Schools alongside a list of “bad” racially mixed schools, with a white child asking, “Which one will you choose?” The report noted that the flyers delivered an “unambiguous message of inferiority.” The ruling reprimanded the parents for their continued reference to “Smithfield kids” (a reference to a mostly black section of Jefferson County whose children attend Gardendale schools) in a degrading manner. Deplorable. 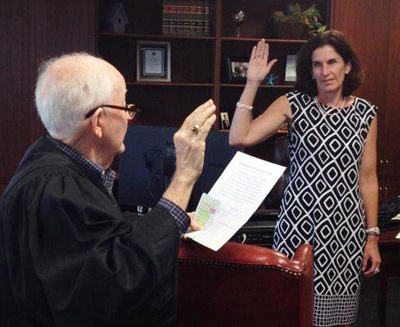 But even though she saw that Gardendale’s motives were based on the idea that the school district’s black students were inferior; even though she noted that it would set back the county’s desegregation efforts to make schools equal; and even though it would negatively impact the black students who already attend Gardendale schools, she allowed Gardendale to move forward anyway. “It’s hard to square,” said Monique Lin-Luse, an NAACP Legal Defense and Educational Fund lawyer who represented black parents. No one could figure it out. However, the Gardendale parents were ecstatic. “We know that the community is anxious and ready to achieve its goal of a locally led public school system. We are, too,” said Chris Segroves, the new board’s president. There are no quotes from the black students who will all have to attend new schools, knowing it is only because of the color of their skin.